In case you forgot, an extensive gallery of new images should rekindle your memory. When Vorsteiner unveiled its awesome Lamborghini Aventador-V LP-740 program, it did so with just a small selection of photos. 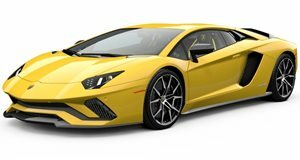 The Californian tuner has now deemed it the right time to release an extensive batch of images of the carbon-fiber Aventador-V body kit, which includes an aggressive front spoiler and raised rear wing. To recap, the aftermarket program for the Raging Bull also included a choice of 20- and 21-inch alloys and a performance upgrade that sees output jump from 700 to 740 hp.